An American poet named Michael Derrick Hudson has a poem included in the 2015 anthology of The Best American Poetry. What makes this poem unusual is that Hudson had sent it to a multitude of publishers and had it rejected more than 40 times. He then sent the poem to publishers using the pseudonym Yi-Fen Chou rather than his own name. It was rejected 9 times this way, but then published in a journal called Prairie Schooner and was on its way to being considered one of the best poems of 2015. Lesson number one is to not give up easily but lesson number two may be to add complexity. Bankers assess risk every day when they underwrite loans and when managing their loan portfolios. Despite this, a deeper understanding of the components of credit and how they inevitably intertwine can be beneficial. The FDIC took a whack at this when they did some detailed research in an article entitled "What Drives Loss Given Default - Evidence from CRE Loans at Failed Banks." In most parts of the country, community bankers also know commercial real estate (CRE) is often their lifeblood. It's a major source of income and therefore of expertise in most community banks. The paper points out that CRE lending was also a major contributor to bank failures during the credit crisis. The research finds CRE lending concentrations also account for over 70% of failures between 2008 and 2011. Going deeper into a new data set allowed the researchers to focus on this issue and relative importance in determining the loss given default (LGD) of smaller CRE loans that originated in small and mid-sized banks. For its part, LGD is an important ingredient in measuring expected loss and therefore a central aspect of managing risk in a bank's credit portfolio. The other component of expected loss, probability of default (PD), is primarily driven by cash flow (debt service). LGD is inherently more collateral based and the study found that collateral type and loan to value (LTV) were important here, but so was the seniority of creditor status. It was found that many underwriters omitted lien status in their analysis and that this played a key role in driving losses higher. Another important factor that surfaced from the research was the quality of a bank's loan servicing. Here the research found that taking early action is critical in addressing problem loans. Proactive identification had positive effects on lowering LGD and it was also found that losses increased with the length of the workout period. Maybe the old adage is true--your first loss is your best one. Market conditions also cannot be ignored and this is where a community bank's knowledge of its market should be key to success. The problem here is that plenty of lenders who were certain they understood the market dynamics in their footprint came up short when the major economic downturn hit. When such big nasty things happen like this, the distress of an industry counted more than general macroeconomic conditions in LGD. As such, it is logical that foreclosures and long workouts occur more when markets are weak and illiquid than when they are not. Loan age or "seasoning" turns out to be an important factor when determining eventual loss as well according to the research. That makes sense when you consider poorly underwritten loans will go into default more quickly when market stress takes place. When loan underwriting is more robust or seasoning has occurred, even distressed borrowers have a better chance of survival. In normal market circumstances, real estate prices and rents rise and LTV rises over time, improving recovery chances on a loan that has been in existence for a longer period of time. About 10% of the loans in the FDIC's sample defaulted within the first year and 43% defaulted within 3Ys, pointing out the risk of all types of underwriting when bad things happen. In the case of the poet who misrepresented who he was, it has obviously caused some ruffled feathers. Interestingly, the author never sought to hide it from the editor who compiled the anthology, so what can you do? In banking, when you are seeking to understand the risk analysis of loans, the data points out that roses are red, violets are blue, the worse you underwrite the more it comes back to haunt you. 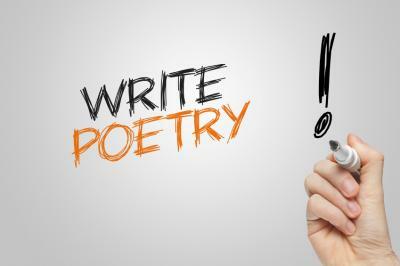 Now, go originate some loans and write some poetry! Yields declined 7bps due to disappointing inflation and retail sales data, increasing the odds of a rate hike in 2016. Accenture research finds 34% of customers who switched financial service providers last year said they did so because of poor or non-personalized customer service. The Wall Street Journal reports central banks worldwide have been selling US Treasuries at the fastest pace on record (1978), as they reallocate assets to prop up their ailing economies. A full 56% of economists surveyed by the Wall Street Journal say the US will reach full employment within the first half of 2016 and about 20% say the labor market is already there. While the data continues to keep discussion around potential rate hikes churning day by day, Reuters notes FOMC members Dudley and Lockhart reinforced Chair Yellen's message that a rate hike will occur by the end of the year. A Bloomberg survey of economists finds 15% now predict the chance of an economic downturn in 2016, the highest level since 2013 and above the 10% level that had been seen for 13 consecutive months. Worries about China and potential spillover to other countries were key reasons. JPMorgan reports it spent an extra $2B from 2012 through 2014 to improve its compliance and cybersecurity programs.